Our handmade vintage tiles made of concrete make themselves gorgeous as coasters or wall decorations. 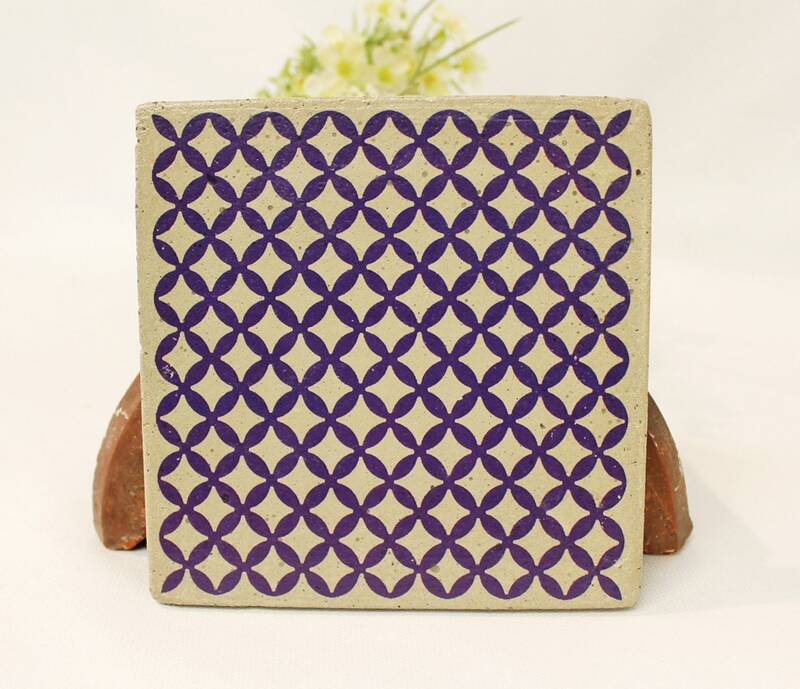 These very special decorative tiles have the format 15 x 15 cm. Patterns: "Puerto" (blackberry Lilaton or anthracite). Under "Option" they can be ordered individually or at the advantage price in the 4-seater, 8s and 12 sets as well as as a 4-set "Palma." For larger quantities, you can write to us.